107 foot of frontage on Webster lake. Webster lake is a 640 acre all sport lake. 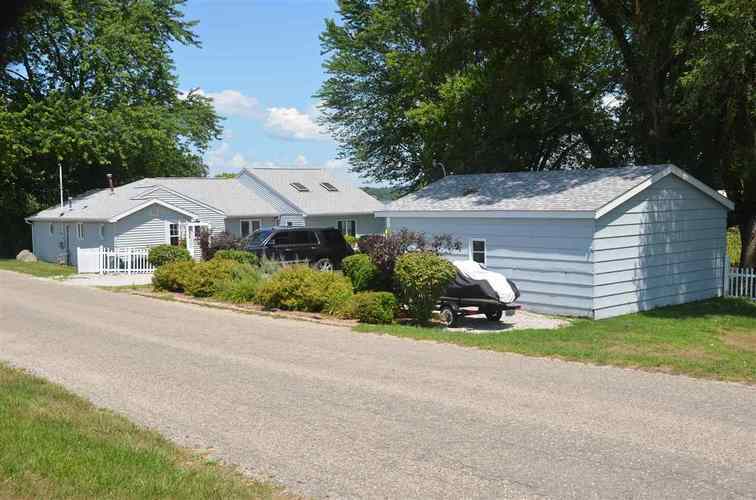 The home is located on the bay just off of the main lake with great views. You will enjoy the peacefulness of this lot. The home features 4 bedrooms to accommodate a larger family and has a open floor plan. Main level laundry, master bedroom suite overlooking the lake. Recent upgrades include new paint throughout, the roof in 2017 and garage roof in 2015, and a new well 2017. You will find a large deck overlooking the waterfront, a functioning boat house, pier and a detached garage for your lake toys. This home is available turn key for the right offer. Boats are also available separately, inquire for pricing of those. Directions:SR 13 South to Blackwater Rd go East to EMS W 29, North to sign. Listing provided courtesy of Creekstone Realty.